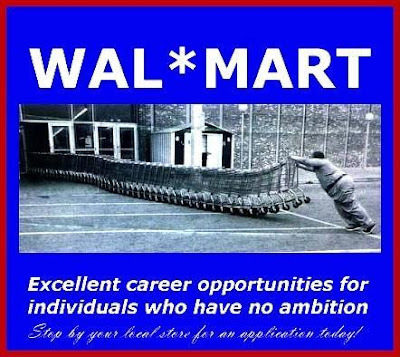 When I become financially independent or unemployed due to incompetence, I want to take a job for a day at Wal-Mart. As a greeter. I think I would be good at this because I would help people out as they came through the door. Or maybe I'll just lay on the beach. Probably live longer fighting sun cancer. You are a natural! You'd make Sam Walton proud. 3. Be too stupid to do anything else in the store (Which has to be pretty stupid).